Cardinal Dolan will ordain three new auxiliary bishops for the archdiocese at a Mass in St. Patrick’s Cathedral on Monday afternoon, Aug. 4, the feast of St. John Vianney, the famed Curé of Ars, who is the patron of priests. The new auxiliaries are Bishop-designate John J. Jenik, Bishop-designate John J. O’Hara and Bishop-designate Peter J. Byrne. Each of the new prelates has significant experience in parish ministry, with Bishop-designate Jenik and Bishop-designate Byrne both currently serving as pastors, at Our Lady of Refuge parish in the Bronx and St. Elizabeth’s parish in the Washington Heights section of Manhattan, respectively. Bishop-designate O’Hara served for 20 years at St. Teresa of the Infant Jesus parish on Staten Island, first as parochial vicar and then as pastor, before being appointed by Cardinal Dolan in 2012 to serve as the director of strategic pastoral planning for the archdiocese, a newly created position. Two of the new auxiliaries, Bishop-designate Jenik and Bishop-designate Byrne, have extensive experience serving Spanish-speaking parishioners. 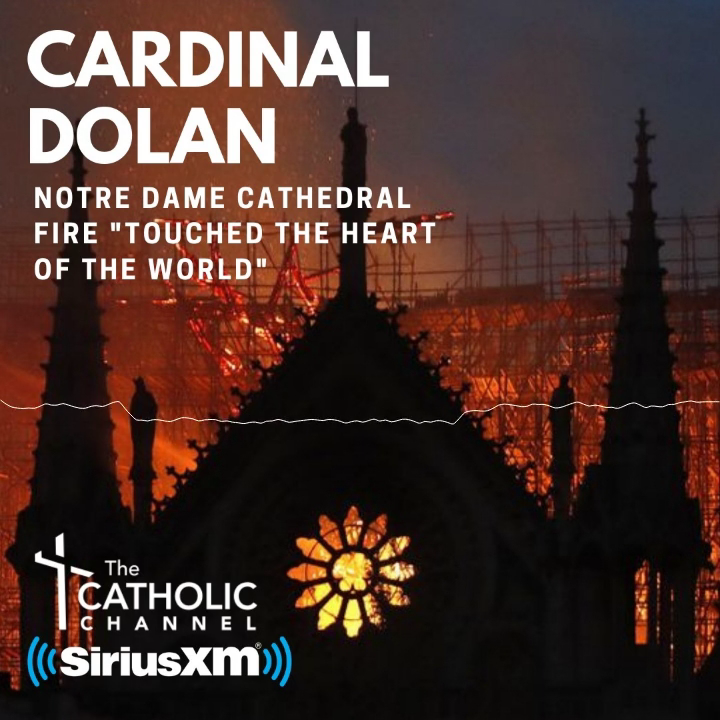 Each of the three received word of their appointments early in the morning of June 14 and Cardinal Dolan hosted them at a luncheon in his Manhattan residence the same day. Cardinal Dolan will serve as the principal celebrant of the 2 p.m. liturgy. He will also serve as principal consecrator of the new bishops. Serving as co-consecrators will be Bishop Walsh and Bishop Lagonegro. Also participating will be Archbishop Carlo Maria Vigano, apostolic nuncio to the United States, who will read the papal bull, or official letter, from Pope Francis. Presiding will be Cardinal Edward Egan, Archbishop Emeritus, and Cardinal Theodore McCarrick, Archbishop Emeritus of Washington, D.C., who was ordained to the priesthood for the Archdiocese of New York. Other bishops from the New York Province and neighboring dioceses are also expected to concelebrate along with many priests of the archdiocese. The entrance procession will begin at 1:30 p.m. Most of the cathedral’s seats will be filled by invited guests of the three bishops. A reception at Cathedral High School in Manhattan for family, friends and other guests of the bishops will follow the afternoon liturgy. A dinner for the bishops will be held at the New York Catholic Center that evening. Attending each new auxiliary bishop at the Mass will be chaplains, servers, a reader and gift bearers they have selected. The two chaplains and four servers of each auxiliary are priests while the readers and gift bearers are lay people, primarily family members and friends. Each of the new auxiliaries will wear a pectoral cross and ring personally given to them by Cardinal Dolan. Bishop-designate O’Hara will hold a crosier of Cardinal Terence Cooke, who served as Archbishop of New York from 1968 to 1983, and Bishop-designate Byrne, a graduate of Cardinal Hayes High School, the Bronx, will hold a crosier of the school’s namesake, Cardinal Patrick Hayes, who served as Archbishop of New York from 1919 to 1938. Bishop-designate Jenik will hold a wooden crosier he selected himself. The three new auxiliary bishops are the first to be ordained since Cardinal Dolan became Archbishop of New York in 2009. Bishop Walsh and Bishop Dennis Sullivan, who now leads the Diocese of Camden, N.J., were the most recently ordained auxiliary bishops for the archdiocese. They were ordained by Cardinal Egan on Sept. 21, 2004. Bishop-designate Jenik, 70, has served since 1985 as pastor of Our Lady of Refuge parish in the Bronx and earlier was parochial vicar for seven years there. He has served as regional vicar for the Northeast Bronx since 2006. His first two parish assignments were also in the Bronx: St. Thomas Aquinas, 1974-1978, and St. Jerome’s, 1970-1974. He is well known for his service and work on behalf of those seeking housing and for fighting crime and drugs. He was ordained by Cardinal Cooke in St. Patrick’s Cathedral May 30, 1970 and then studied Spanish that summer at the Catholic University of Ponce, Puerto Rico. He studied for the priesthood at Cathedral College and St. Joseph’s Seminary, Dunwoodie. He holds a master’s in education from Fordham University in the Bronx. The Manhattan native attended Immaculate Conception School and Cathedral College High School there. He was named a monsignor in 1995. Bishop-designate Jenik’s episcopal motto is Defend the Poor and Needy. He is the titular bishop of Drua. Bishop-designate O’Hara, 68, has led the Making All Things New parish planning process as the primary part of his responsibilities as director of strategic pastoral planning. Before taking that assignment, he was pastor of St. Teresa’s, Staten Island, from 2000 to 2012, and also was parochial vicar there for eight years. He earlier had served as parochial vicar of St. Charles, Staten Island, 1984-1992. He was ordained by Cardinal John O’Connor in St. Patrick’s Cathedral Dec. 1, 1984. He studied for the priesthood at St. Joseph’s Seminary, Dunwoodie. A native of Jersey City, N.J., he attended Catholic elementary and high schools there. He earned a bachelor’s degree from Seton Hall University in South Orange, N.J., with a concentration in English. He worked in the field of broadcast journalism for 13 years before entering the seminary. Bishop-designate O’Hara’s episcopal motto is Jesus, I Trust in You. He is the titular bishop of Ath Truim. Bishop-designate Byrne, who turns 63 July 24, has served as pastor of St. Elizabeth’s parish in the Washington Heights section of Manhattan for a year. Before that, he had served since 1995 as pastor of Immaculate Conception parish on Staten Island, where he previously was administrator for a year, along with St. John the Baptist de La Salle parish, now closed. He was administrator of St. Thomas Aquinas, the Bronx, 1992-1994, and was parochial vicar of St. Teresa of Avila, Sleepy Hollow, 1984-1992. He is fluent in Spanish. He was ordained by Cardinal O’Connor Dec. 1, 1984, in the same class as Bishop-designate O’Hara. He studied for the priesthood at St. Joseph’s Seminary, Dunwoodie. The Manhattan native also attended Immaculate Conception School there as well as Cardinal Hayes High School. He earned a bachelor’s degree from Fordham University in the Bronx with a concentration in history and social studies. Bishop-designate Byrne’s episcopal motto is God Is Faithful. He is the titular bishop of Cluain Iraird.